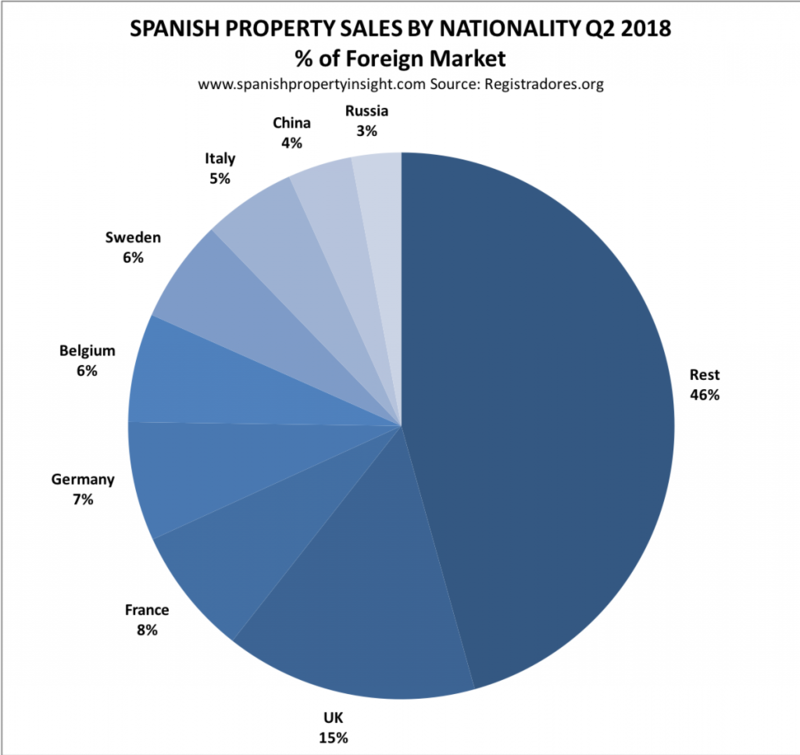 Foreign demand for property in Spain increased by 11% to 17,338 purchases recorded by the Association of Spanish Land Registrars, according to their latest report. 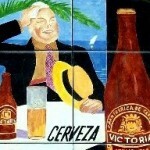 The overall Spanish property market increased by 12% with 134,196 recorded sales in the period. 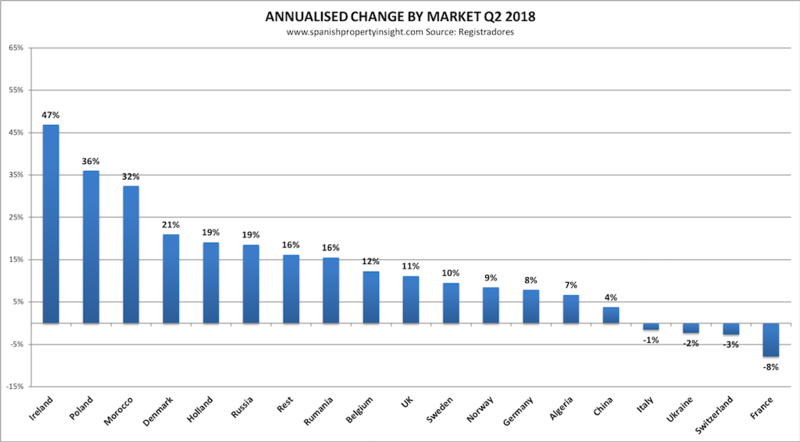 Local demand growth was 12.6%, outpacing foreign demand and leaving the market share of foreign buyers down a fraction to just under 13%. Brexit notwithstanding, the British were still the biggest group of foreign buyers with 15% of the foreign market, almost double the size of the next biggest group – the French. The biggest percentage increase in foreign demand came from Ireland, up 47%, and the biggest decrease came from France, down 8%. A chart comparing the evolution of British, French, and German demand over recent quarters illustrates how British demand is once again growing faster than the other two big markets, and heading back towards a dominant position. 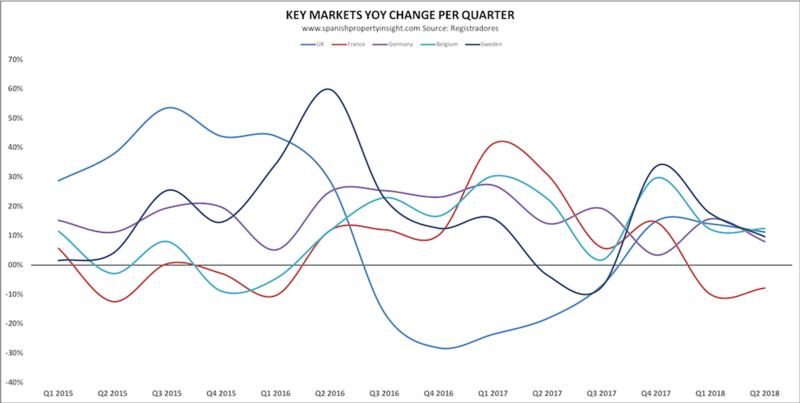 And finally, and chart showing how demand growth from the five biggest markets appears to be converging, with the exception of France in the most recent quarter. 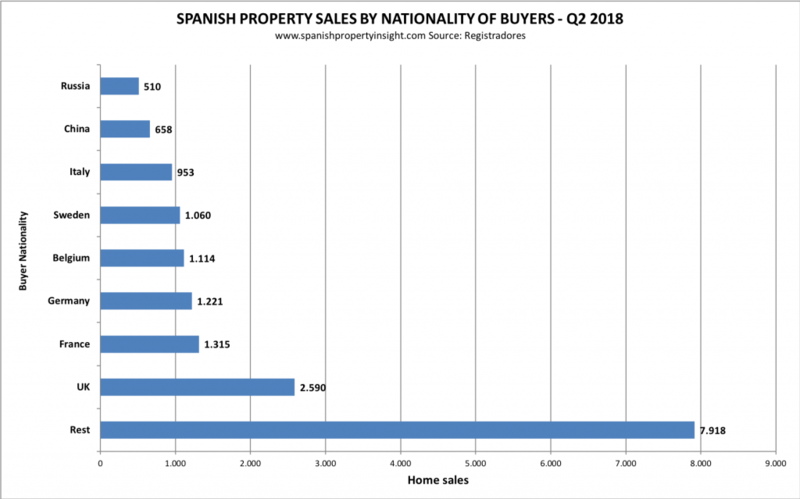 Overall, the latest figures show that foreign buyers are still keen to buy property in Spain. 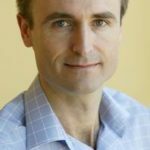 Very impressive numbers and fantastic analysis and charts as always Mark. Toronto and Vancouver´s astronomical rise were driven by no more than 10% foreign demand so unless there´s more construction to increase supply, I suspect we are facing the same situation in Spain in about 5-7 years and a subsequent correction. Thanks. Foreign demand in hot markets like Barcelona, Madrid, the Balearics and the Costas Blanca and Sol is much higher than the national average. In the Balearics I think it’s close to 50%. Mark, what are the buyers buying? A propos the comment above. By what I see on the street here in VLC, things are going gangbusters. Heavy machinery moving onto vacant lots, empty the 16 years I’ve known VLC.. “Estamos restaurando el patrimonio de la ciudad.” banner on an 18thC building abandonded for 16 years. The abandonded u/g car park project, started +/- 10 years ago outside the back of Merc Central, coming on nicely – looks like it’ll be done for Xmas. Upstairs from me – total refurb. Four doors down – 3 skips A DAY for the past 2 weeks ie whole building development. Opposite that, a flat sold 2 weeks after the Se Vende sign went up. Two more Se Vende in my street. Things are definitely cooking round here. Chris, I guess it’s a good thing that the market is lively in Valencia City. Certainly better than being in a depression like it was for years. Let’s just hope things don’t go too far the other way. A boom and bust cycle is not healthy. I suspect Valencia is hot partly because of the political problems in Catalonia, that have put some international buyers off Barcelona.